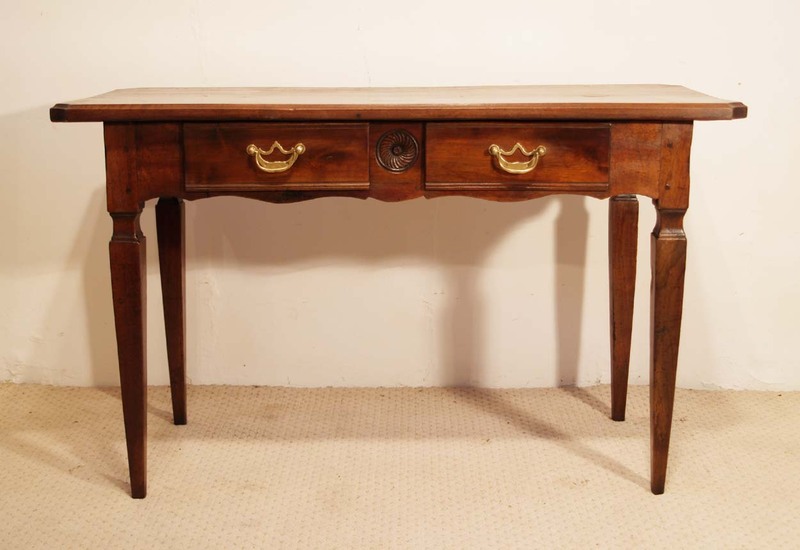 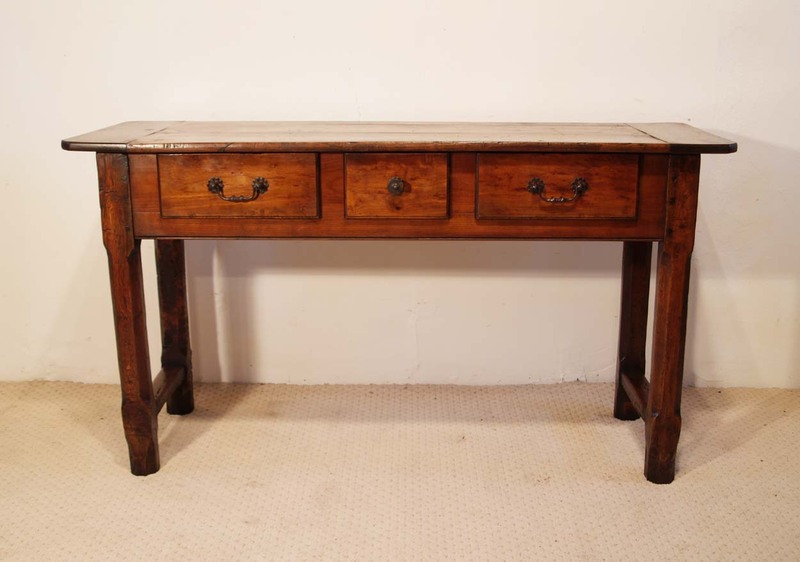 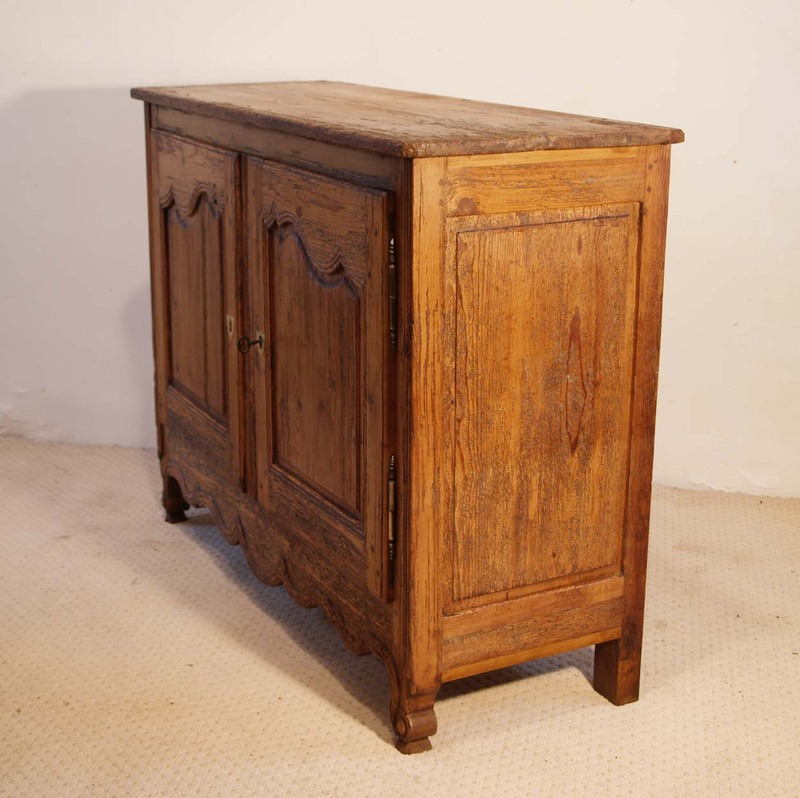 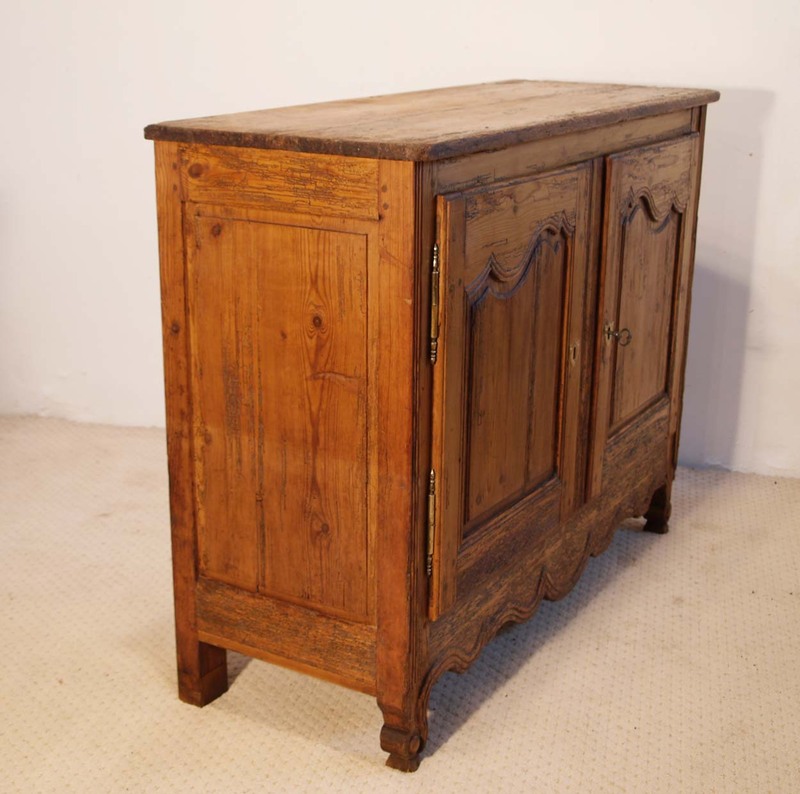 A delightful petite French antique Buffet / Sideboard C 1780, originating from the Loire region of France. 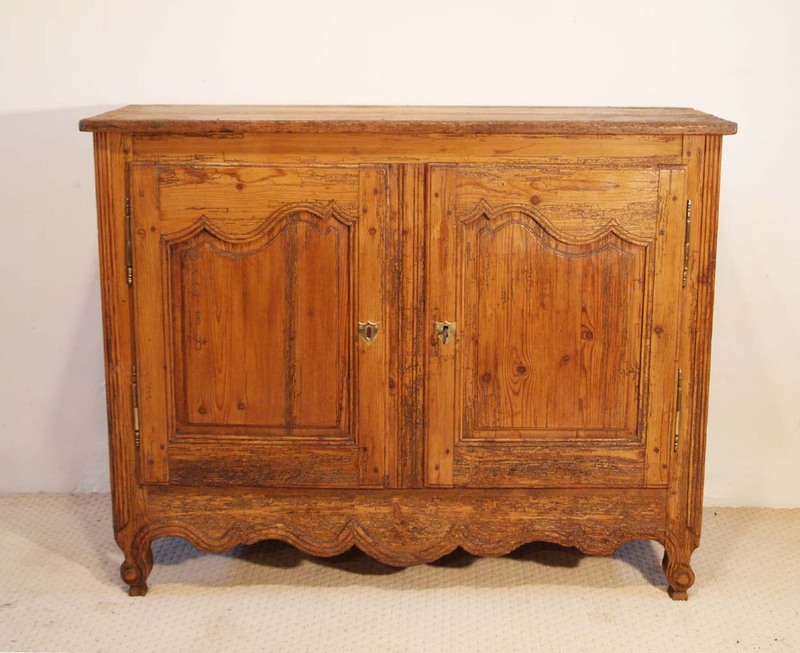 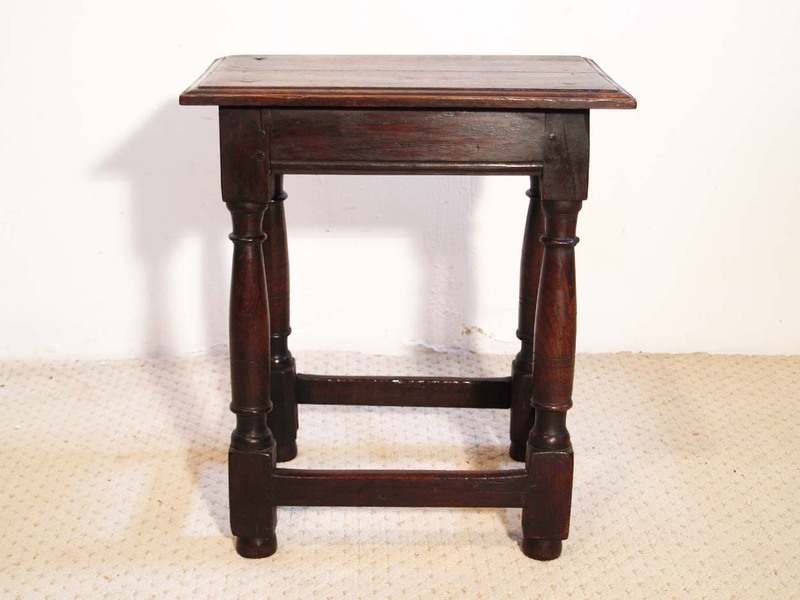 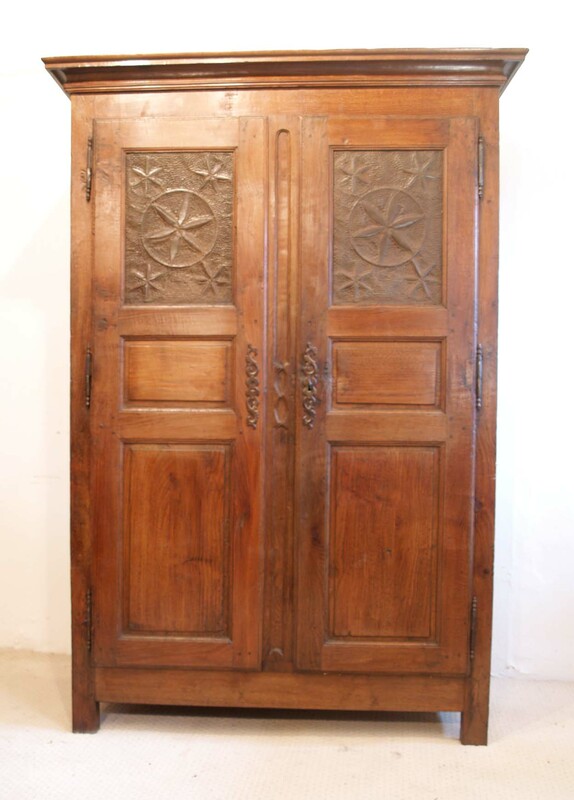 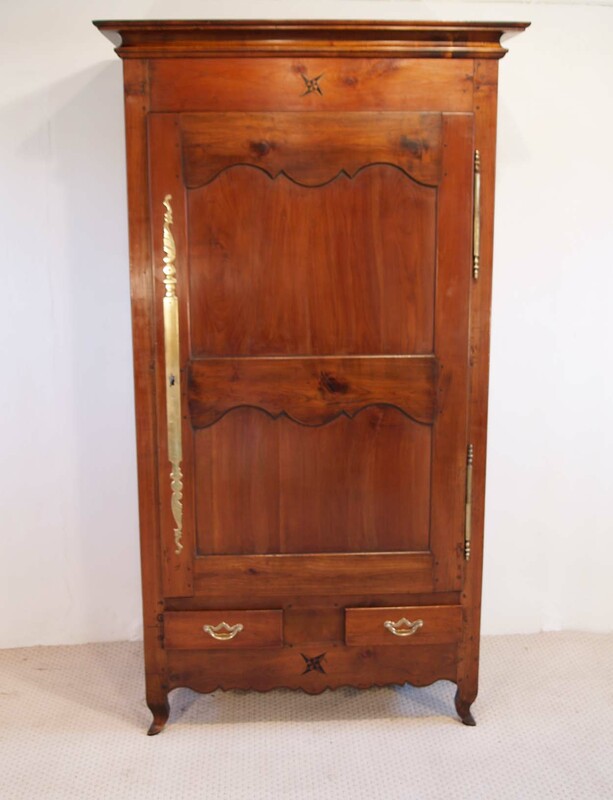 The carved escargot feet, along with the shaped doors and original brass hinges and escutcheon plates, make this a wonderfully original and early piece of pine furniture. 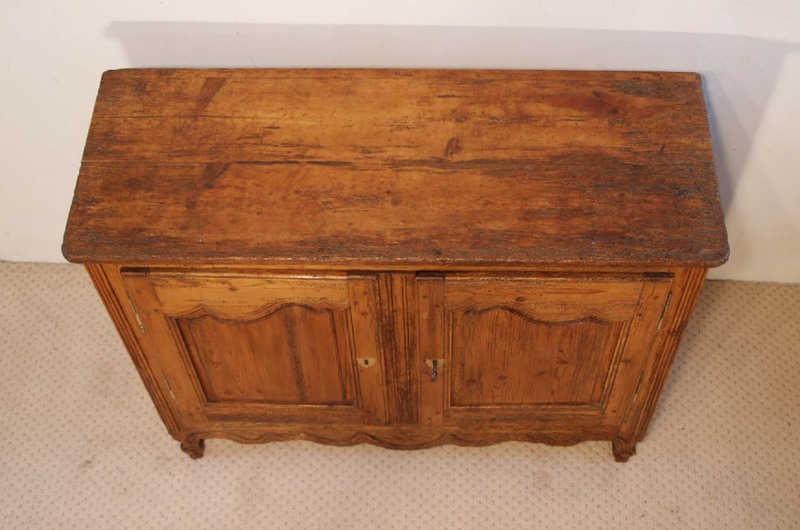 There are worm traces over a large part of this piece, but this piece has been fully restored, treated against insect infestation and is structurally sound. 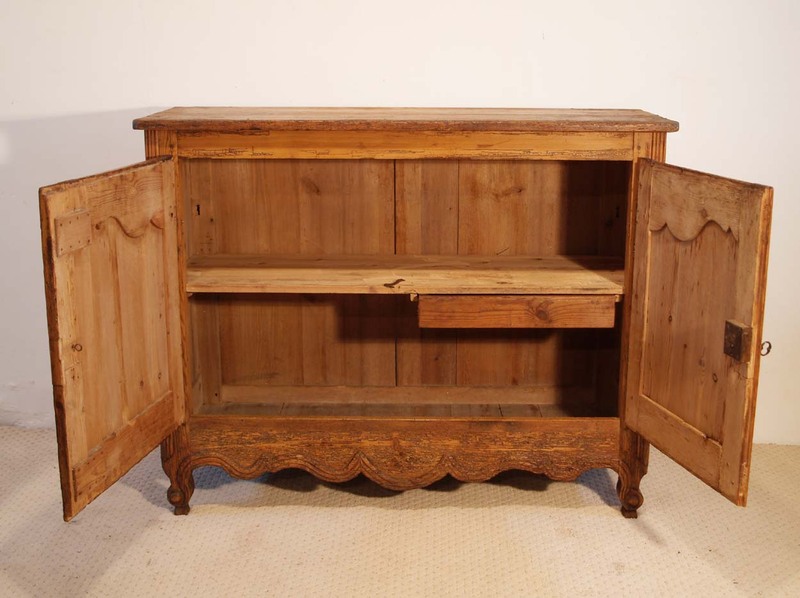 A wonderful EARLY piece of pine!